We’re thrilled to have launched the EyeQue PDCheck. More and more people are looking for the elusive “PD” number, yet existing solutions are stuck in the 1990s. Most establishments suggest using a “printable ruler,” but this is hard to use and may result in inaccurate measurement. There are also smartphone apps that use a credit card positioned under your nose, but this not only exposes your credit card number, but it is notoriously inaccurate. The PDCheck works like a charm! We’ve been giving demos all day and here are some images and videos from the show. Enjoy! 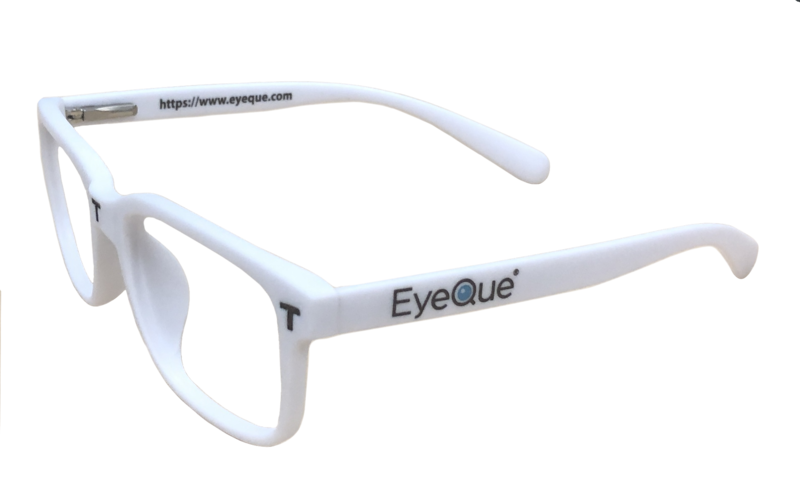 The patent-pending EyeQue PDCheck Frames have three “T” marks; two near each edge and one in the center. The PDCheck mobile app uses image processing the detect the locations of the T-marks, as well as the pupils of the user. As an added layer of accuracy assurance, once the picture is taken, the user has the opportunity to adjust the location cursors (green “+” signs), making sure that they fall on the T-marks and pupils. The result is an incredibly accurate PD measurement, rivaled only by in-person measurements at office visits. Check out how it works– In real time! Step 4: Make sure that the green markers are directly on the “T” marks on the frames AND on your pupils. Adjust the locations of the marks if necessary. Step 5: Hit “confirm” and you are done! You will receive two pupillary distances: 1) your PD – the combined distance of each pupil from the center of your nose, and 2) your Near PD(reading vision, since our eyes tend to converge while focusing close-up). Access your data anywhere, anytime on your PDCheck app or by logging into your personal account at www.eyeque.com. 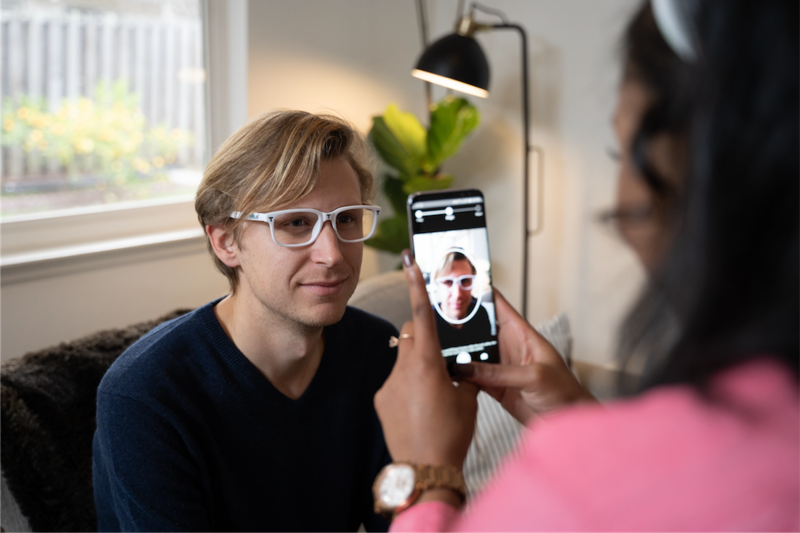 PDCheck makes getting your pupillary distance fast, easy and accurate.